When the dunes roll up on either side of the road and sand begins to spill onto the shoulder, you’ve arrived. With the Atlantic to the east and the Pamlico Sound to the west, the ride down Highway 12 is reason enough to take a trip to North Carolina’s Outer Banks. But it’s certainly not the only reason. The Outer Banks, or OBX, is a place like no other—a chain of islands where active lifestyles come with laid back attitudes, where people stop to watch the sunset and take pride in a rich maritime heritage. The Outer Banks National Scenic Byway carries you by road and by sea, from Whalebone Junction in Nag’s Head, nearly 140 miles south to Beaufort. The Outer Banks is no place for rushing (unless you’re catching waves), so we channeled our energy as far south as Ocracoke. If you have a week or longer to explore—or wish to go straight to less touristy towns—be sure to stretch your legs Down East. The Outer Banks community springs fully to life in the summer, with a rush of vacationers and seasonal residents, festivals, and concerts. But visit off-season (be warned: many local businesses close for a couple months after the holidays), and you may feel like you’ve stepped into a well-kept secret. 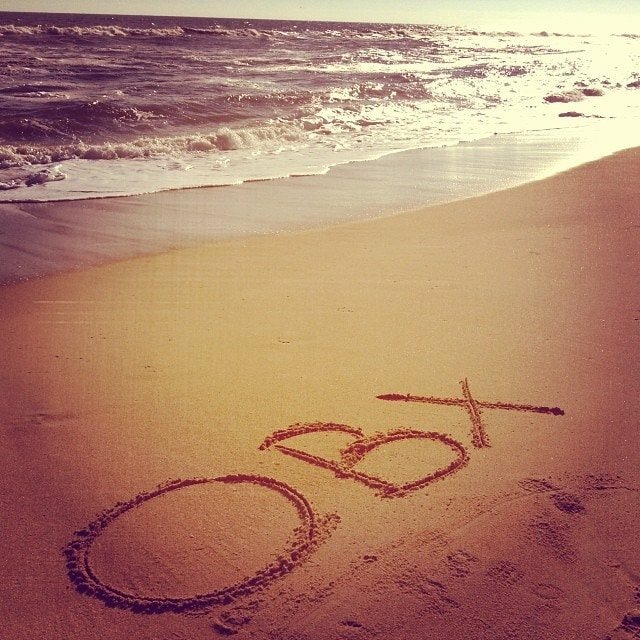 It’s the best way to get close to what the Outer Banks is all about: local flavor and incredible nature. Lighthouses are the icon of the Outer Banks, with several of them right off the Byway. The horizontally striped Bodie Island Lighthouse, now in its third life, sits just south of Whalebone Junction. 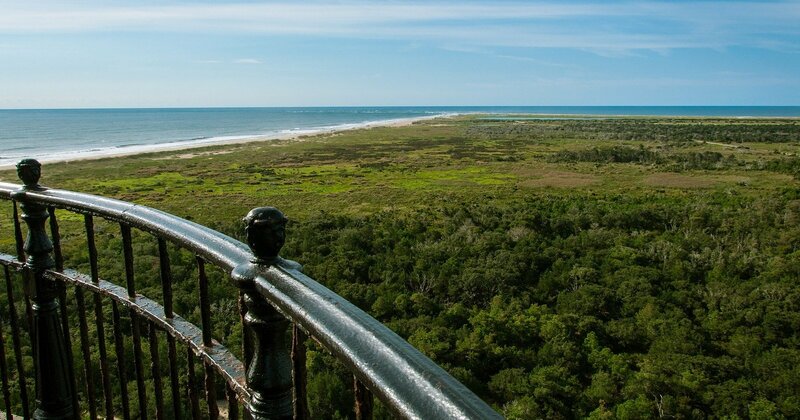 Accessed only by ferry, the diamond-painted Cape Lookout Lighthouse is surrounded by a sailor refuge-turned-ghost town. 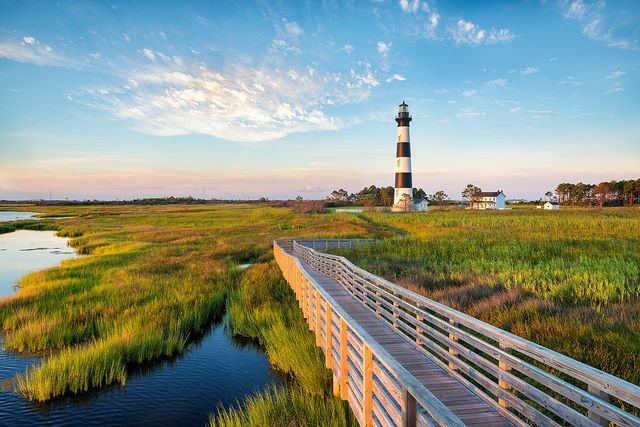 Recognized by its distinct candy-cane stripes, the famous Cape Hatteras Lighthouse is the world’s tallest brick lighthouse and beams 20 miles into the ocean. The oldest in North Carolina and second oldest in the country, the stout Ocracoke Island Lighthouse is just the right size for the four-square mile Ocracoke Village. All except Ocracoke’s are open for climbing during the summer and fall (check sites for dates). 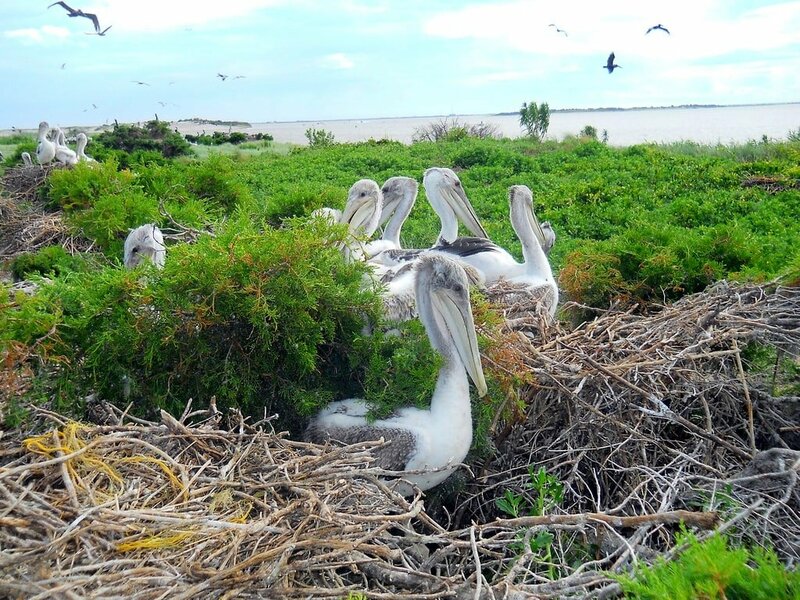 A “birder’s paradise,” Pea Island National Wildlife Refuge is a haven for 365 species of nesting, resting, and wintering migratory birds. Encompassing nearly 6,000 acres of land and 25,700 acres of water, the refuge’s well managed trails and undisturbed marshes are ideal for a leisurely walk or kayak. Two short nature trails—the North Pond Trail and Salt Flats Trail—begin right by the visitor’s center, staffed by seasonal volunteers (9 a.m.-4 p.m.). If you make it to the southern end of Pamlico Sound, visit Cedar Island National Wildlife Refuge, 14,480 acres of marshland favored by ducks and colonial waterbirds. Daily life on the Outer Banks centers around the water. So take time to relax and refresh at the beach, then rejuvenate with water sports—beginners welcome. The entire region is a kayaker’s dream. Among the many launch options is the Pamlico Sound. Go with a guide to confidently navigate the waterways and learn a thing or two about birds along the way. While you’re at, get out there and surf, windsurf, and kiteboard. Try stand-up paddle boarding (SUP) and maybe even get your downward dog on in the Sound. Rentals are available for the experienced and unequipped. This is the home of watermen (and women)—fishermen, clammers, crabbers, and oystermen. Rent a rod and cast out right on the beach or pier, or charter a boat with much or as little help as you need. Captain Rick Caton of Custom Sound Charters will show you how to work a shrimp net and a crab. For clamming, Captain Rudy Gray of The Hook Up Charter is your man. Both are based in Hatteras Village and also offer fishing. There’s no shame in sitting back and observing, either. 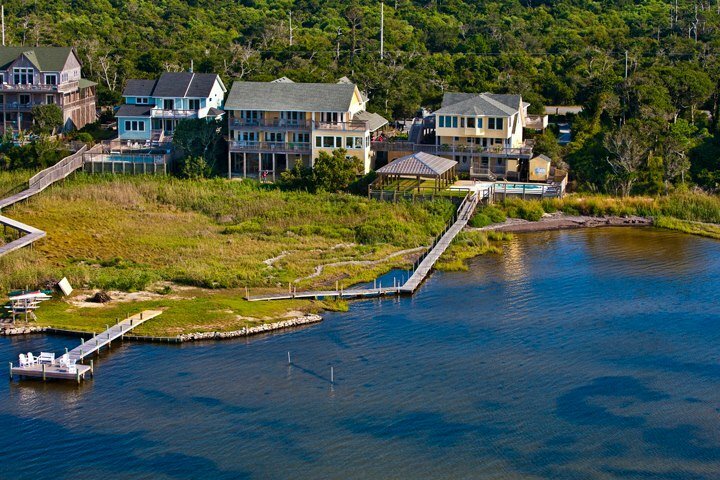 Settle in on the Hatteras shores, where fly fishers and 4WD cars dot the beach. Head to the docks between 4-5 p.m. to watch the charters return with the day’s catch. 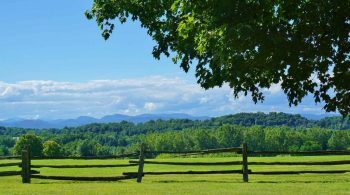 If you find yourself caught in the rain or otherwise able to tear yourself away from the beautiful outdoors, take the time to dig into the local history. With a history steeped in maritime mystique, the Outer Banks is a storyteller’s dream (see: Hatteras Storytelling Festival). The region is sometimes called the Graveyard of the Atlantic, for the thousands of vessels and mariners who have gone down in its waters. 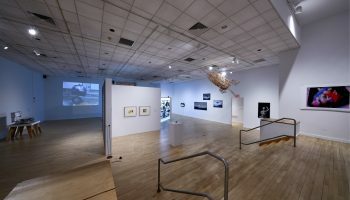 The Graveyard of the Atlantic Museum is dedicated to preserving and presenting these shipwrecks and their stories. If you go, visit artifacts from the “ghost ship of Diamond Shoals“and try to solve its mystery. 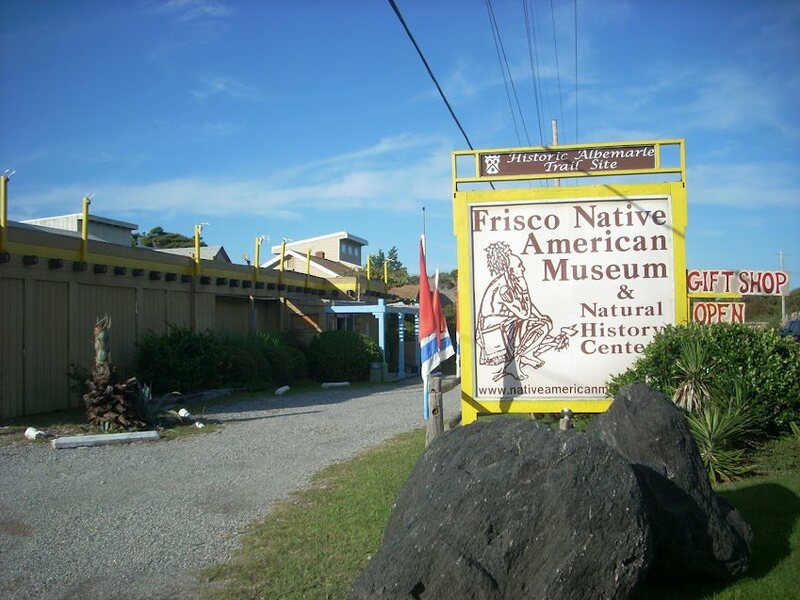 The Frisco Native American Museum and Natural History Center gives visitors insight into the local indigenous people and natural history, with native artifacts from Hatteras Island and beyond. 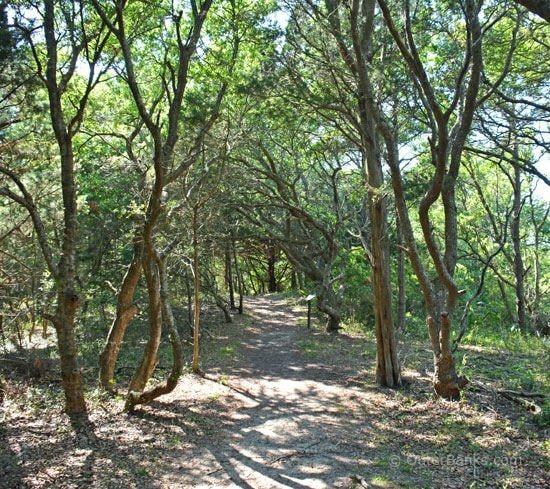 Take a stroll through maritime forest on the museum’s nature trails, and try to visit for a workshop or special event, like the Journey Home festival planned for the last weekend of April. Even if you don’t surf, it’s easy to appreciate the art of the board—and find handmade clothes for watching the waves—at Buxton’s Natural Art Surf Shop. “Shop small” and stock up on ghost stories and local history books at Buxton Books. In Avon, find out-of-the-ordinary pottery, textiles, and more at from owner Antoinette Gaskins Mattingly and other regional artists Kinnakeet Clay Studio and Showroom. 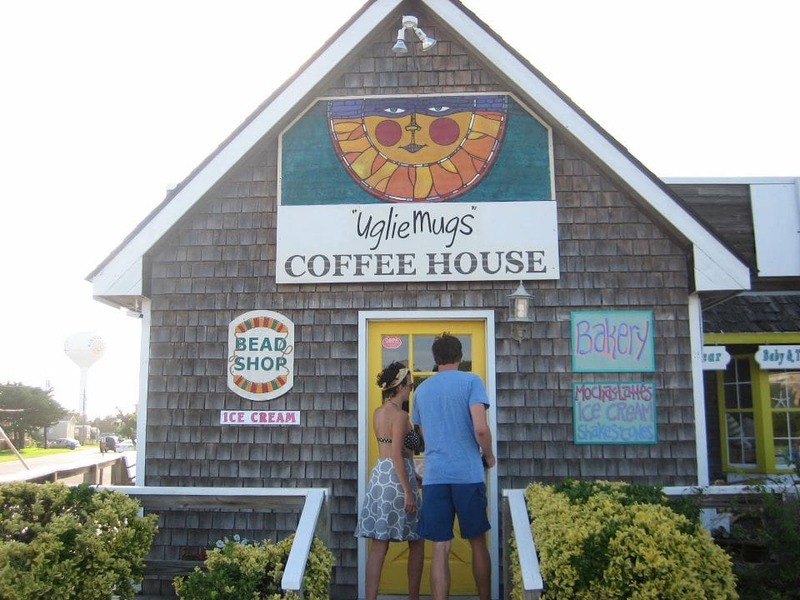 Start the morning off with a cup of coffee, a tastier-than-you’d-expect “healthy muffin” and some local gossip at Uglie Mugs. Don’t be offended if the barista doesn’t indulge you in conversation—take a seat at the communal table and someone else will. “Ugly mugs,” each with its own facial expression, line the shelves, and the back doubles as a bead and jewelry making shop. It’s not all about location at Dinky’s Waterfront Restaurant, where lively locals hang by the bar and dig into steamed basics and creative seafood specialties. That said, Dinky’s perch above the water and panoramic views don’t hurt. Cafe Pamlico Restaurant at the Inn at Pamlico Sound offers fine dining with a local, sustainable slant—featuring produce and herbs from the chef’s garden. An always-changing menu with tasty, generous dishes, three-course breakfasts, and pre-fixe dinner specials (ask about Wine Dinner Wednesdays) make this tranquil restaurant a must. Sit at the petite bar or go on a concert night if you’re looking for something more lively. For something decidedly divier, head to Pop’s Raw Bar. Don’t let the plastic trays and disposable plates fool you—this locals’ bar takes its grub seriously. Go for a sampler plate to taste the likes of peel-n-eat shrimp, small but succulent scallops, fried and fresh oysters, and hush puppies. Sit at the bar for the full Pop’s experience. Proof that gems like to hang out in the most unassuming of spots, Buxton Munch Co. sits quietly among a strip of shops called Osprey Shopping Center. This funky, colorful cafe is a reflection of owner Marcie and chef Oscar’s taste for local, healthy, affordable food. 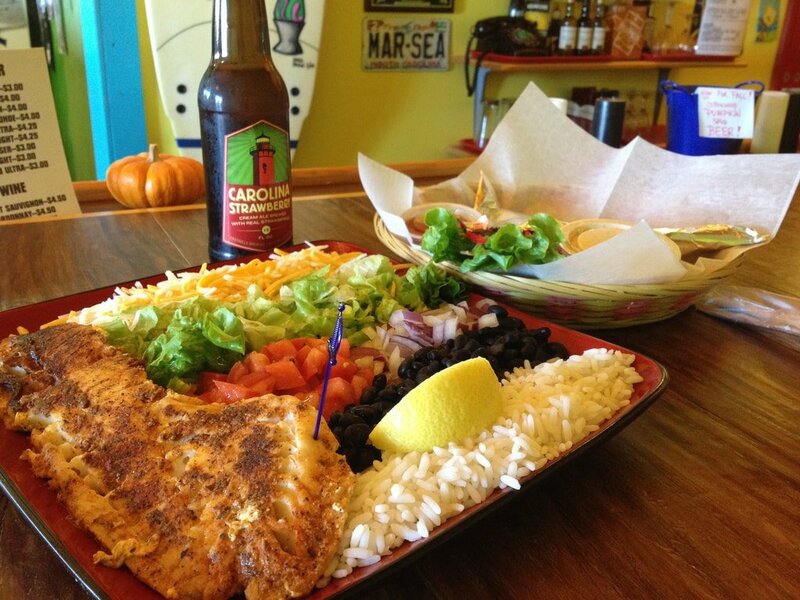 Proving that you don’t need fried for flavor, the tasty make-your-own fish taco platter features an abundance of fresh rock-fish (available simply grilled or blackened). Other house specialties include the tomato basil soup and crabby pattie sandwich. Enjoy them with a local brew like Foothills Brewing Carolina Strawberry cream ale. For even more generous portions, Orange Blossom Bakery does not disappoint. 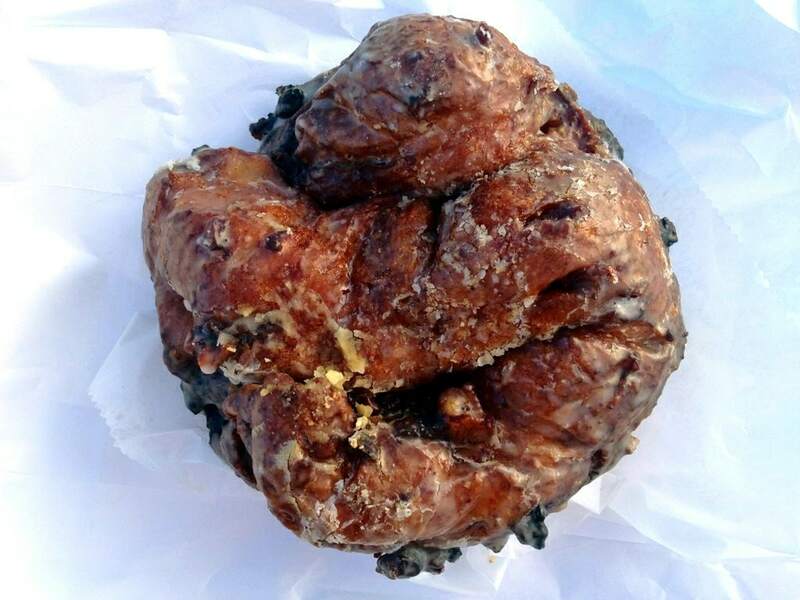 It’s hard to go wrong with any of their bold, homestyle pastries. If you’ve only enough stomach space for one thing, make it an Apple Ugly. What it lacks in refinement, it makes up for in sweet, sticky goodness. Tip: If your stomach is growling on the road from Norfolk, stop at Weeping Radish Farm Brewery in Grandy for a solid lineup of brewed-on-site beer, hearty options like their famous ruben, sweet potato liverwurst, and housemade sausage. Weeping Radish works with local produce and gets whole animals from local farms, which the German master butcher Frank breaks down. Koru Village’s group- and family-friendly villas are not freestanding, but certainly spacious enough to live up to their title. Koru’s staff, starring the sweet family behind the spa and beach resort, runs hikes and kayak trips, plus surf and SUP lessons. If you haven’t already yoga’d on the water, take a class or treat yourself to a massage at the on-site spa and gym. Then saunter across the street to Koru’s oceanfront “Beach Klub.” During the summer, Koru hosts a concert series and throws weekly luau parties, where kids are mesmerized by live mermaids swimming through the pool. You’ll also find it hard to stray far from the Inn at Pamlico Sound. With beautifully furnished rooms, an excellent restaurant, and small touches like complimentary drinks and fruit and a movie lounge, the boutique hotel makes it easy to get comfortable. 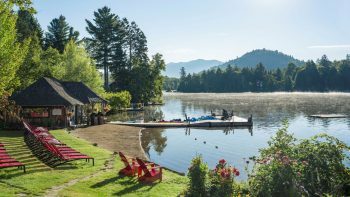 A small pool overlooks the sound, where you can dock the Inn’s kayaks, canoes, and paddleboards. A few bikes are also at your disposal for when you’re ready to venture down the road to rougher seas. Rates, from $135, and packages are available for those interested in a adventures by water or horseback (or picnic). 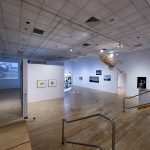 Other notable options include the oceanfront Lighthouse View Oceanfront Lodging, where basic motel rooms become something more thanks outdoor seating outside each room and unbeatable ocean views. 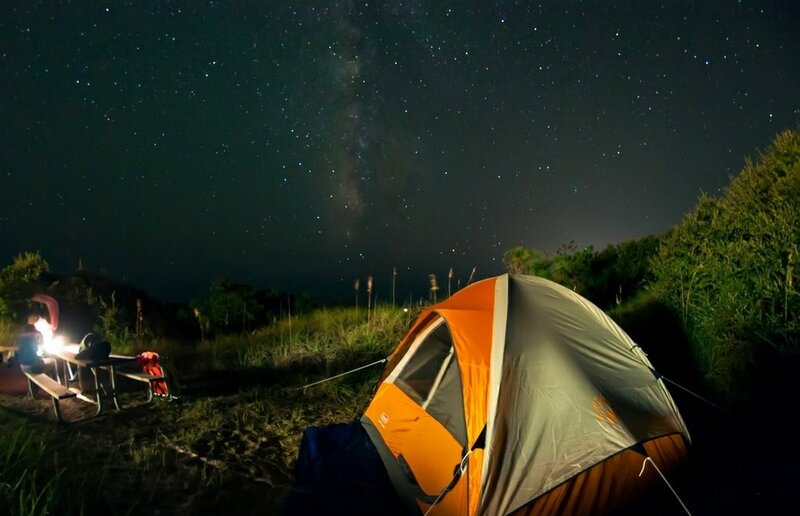 For those who want to get outdoors—and stay outdoors—OBX has plenty of campground. 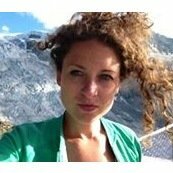 The National Park Service’s (NPS) offers several lovely, rustic options (open seasonally). Sleeping in the dunes makes up for cold showers at Oregon Inlet Campground, just north of Pea Island. For a site under the shade of trees, and possibly an ocean view, head to Frisco. Camping at Cape Point puts you right by the ramp to the beach ramp at a fishermen favorite. As dreamy as Ocracoke is, should you decide to spend the night, the NPS campground is the way to go—and the only way to stay out of town. Choose your dune, then wander over it to 13 miles of unspoiled beaches. Camping by the beach can be windy—don’t forget your stakes! 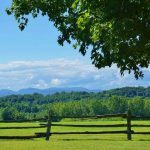 Popular trails include Lookout Loop—a short walk with a vista of Jennette’s Wedge—and North Trail—which winds past wetlands, carrying you along hardwood ridge forests. You can access the reserve via two unpaved roads: Old Doctor’s Road for access from Buxton (for Lookout Loop), and Water Association Road for access from Frisco (for North Trail). The closest major airport to the Outer Banks is in Norfolk, VA. If you have the time to travel by train, Amtrak stops in both Norfolk and Newport News, VA. You can find car-free (and taxi) options, including shuttle buses that leave right from Norfolk International Airport here. The vast majority of people road trip to, and through, the Outer Banks. Once you’re there, it’s a fun place to explore by two wheels, by foot, and by boat. 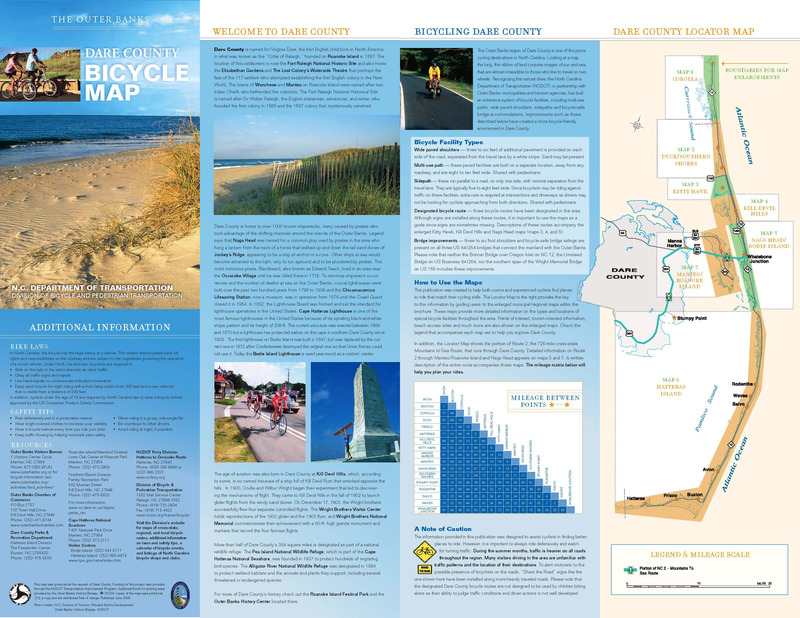 With flat roads and stunning views, the Outer Banks is a fantastic place to bike, and rental options abound. 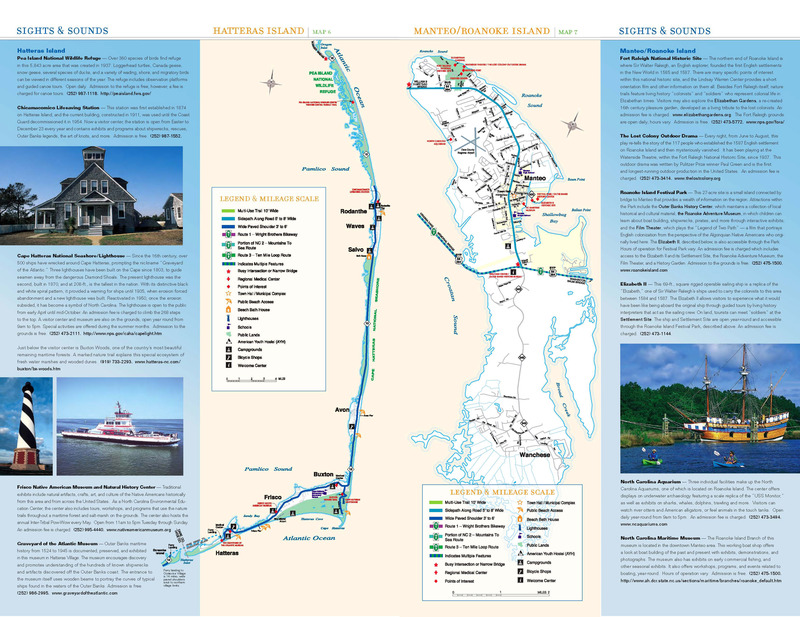 Check out this helpful map to guide your ride from Hatteras to Manteo. A free ferry takes passengers and cars from Hatteras Island to Ocracoke. 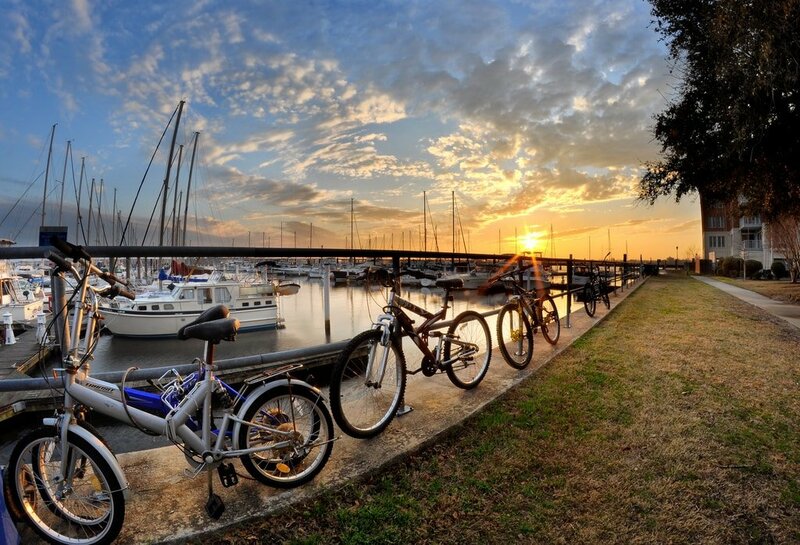 It docks across the island from town, so you’ll want to come with a bike or car. The Cedar Island ($1 for pedestrians; $15 for standard vehicles) docks in Ocracoke Village. In town, Ocracoke’s narrow streets are best wandered by foot, bike, or golf carts (rent a bike at the can’t-miss-it Slushie Stand; for cart rental, check out Ocracoke Island Golf Carts).